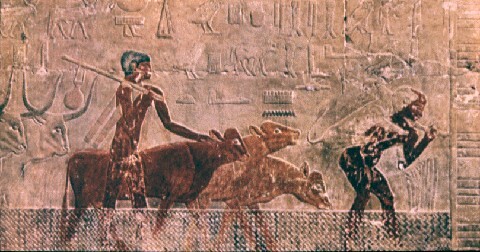 Cattle Fording a River, Tomb of Ti, Saqqara, c. 2450 BCE. 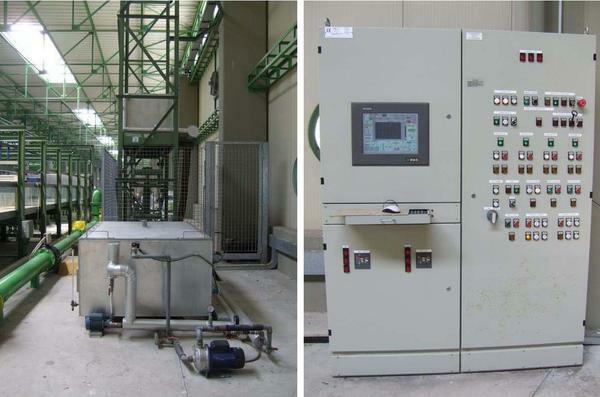 Buoyant jet thermal-hydraulic system with the process computer. A part of the very large channel of the LIC is the buoyant jet thermal-hydraulic system. The discharged heated water generating the turbulent buoyant jet is pumped into the channel through a round steel tube mounted at the bottom of the channel in the central longitudinal section. For the fresh water supply and its heating, a galvanized iron tank is used, where there are four resistances of 12,500 W for the heating of the water up to the established temperature, with maximum value 90°C, each one protected by a thermostat, and a temperature transducer for the water temperature measurement. A pump of 1 Hp, equipped with a manometer, transfers the hot water from this supply reservoir to a second tank, positioned on a lifting platform, whose different levels can be controlled by a process computer, depending on the necessary upstream head of the jet tube. A process computer and a control software (that oversees all the system and store the test data) can be used to control and manage the buoyant jet system. They can generate the desired jet temperature and flow rate issued into the very large channel, described in another section.